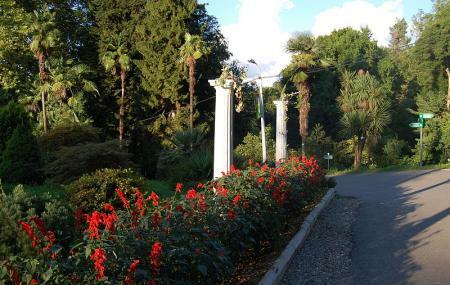 If you love verdant environments and vivid foliage, the Batumi Botanical Garden will charm you! Having a legend that, the dense greenery of plants and trees is a result of someone’s global adventure on the quest of bringing to Batumi several diverse plants, this attraction is a pleasant delight. Almost depicting the Garden of Eden, mentioned in the Bible this is one of the world’s largest and richest botanical gardens. Its location overlooking the Black Sea only makes this attraction even more striking! Its creation dates to the 18th century by Russian botanist Andrey Nikolayevich Krasnov, with its opening on the 3rd of 1912. As an ode to Krasnov’s spectacular hard work and creation the garden houses his grave and statue. This Batumi gem draws crowd throughout the year, however, come Spring and it comes alive in a way like no other time of the year! Sprawling across a whopping 111 hectares, the Batumi Botanical Garden is divided as per geographically distinct flora and fauna. These include - Caucasian humid subtropics, East Asia, New Zealand, South America, the Himalayas, Mexico, Australia, and of the Mediterranean. Indeed, a great place to spend the day or half out! Rent an electric car inside the garden to avoid excessive walking. Mashrutka (minibus) no. 31 and no. 150 from the Cable Car. How popular is Botanical Garden? People normally club together Monument Ali And Nino and Batumi Sea Port while planning their visit to Botanical Garden. One of the biggest botanical garden I have ever visited. We spent an afternoon here, but we have seen like the third of the park. There is a huge selection of plant from all over the world. Facilities are nice, all the pathways are in good conditions. The view is amazing to the see and to the park itself. Very nice place to spend time. Beautiful nature and view. Hot in the summertime. To walk around you may spend 3-4 hours. For people, with children or who not like walk the electric cars are also available for tour. It's an okey place to visit if you are near Batumi and have some time to kill. I couldn't find any exciting plants in the gardens, just ones that are mildly interesting. The park is pleasant enough and the best thing about it is the seaside location. Not bad, but also not exciting. The locals made its sound like it's the best botanical garden in the world, but, uh, that's definitely not true. The best way to get there is by taxi. Even though there are train stations nearby, they seem to be closed. Definitely worth a visit. A 13 lari taxi from Batumi to get there. I went on a clear April day, which was just perfect. You can't buy any drinks inside the garden, only at the entrance, so make sure to take some refreshments.